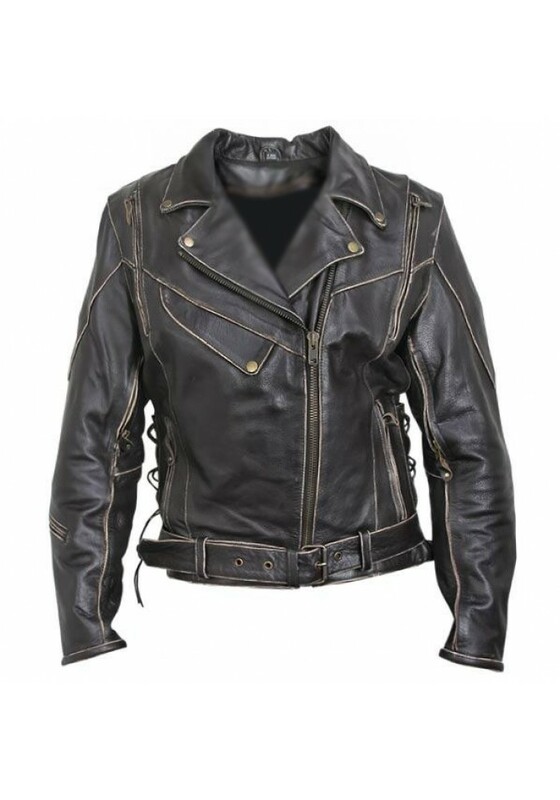 This jacket is made of premium antique-brown, rub-off cowhide leather. Rub-off leather gives a unique look and feel to each jacket. 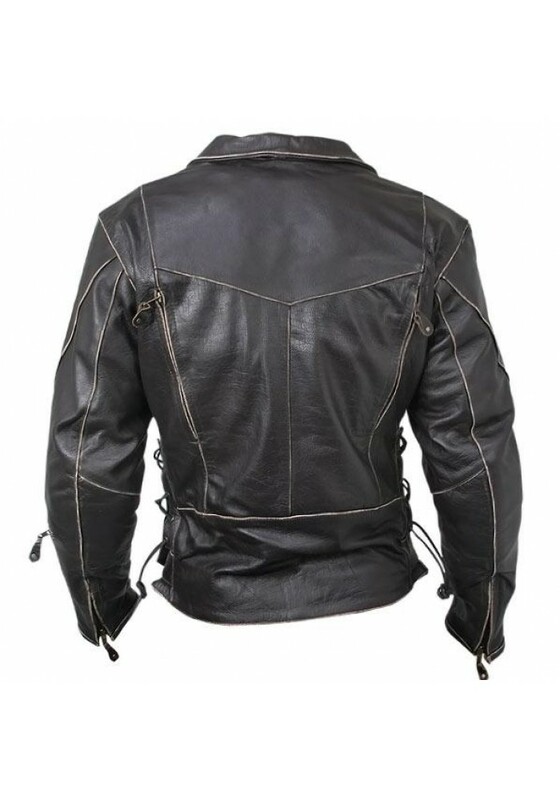 The jacket has an advanced ventilation system with 4 zippered vents and mesh lining. 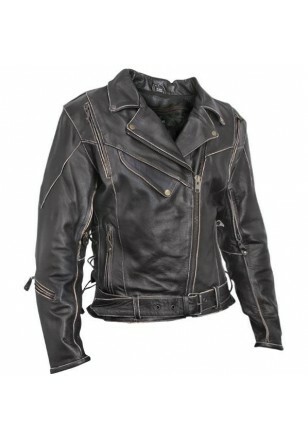 The quilted removable lining allows for riding in colder weather.